I like to see things in black and white. For there to be a right and a wrong answer to every question. How frustrating, then, to find that so many issues in the news dissolve into more than 50 shades of grey. These reflections were prompted by listening to Radio 4 on Monday morning, experiencing mounting irritation as some pundit droned on about internet trolls. Only he insisted on pronouncing the word to rhyme with “dole” instead of “doll”. Imagine how deflated I felt when I looked it up in search of vindication and found that either pronunciation is considered correct. I shall have to confine myself to being annoyed with those who continue to mispronounce my surname, and the name of the village where I live, even after I have politely put them right. 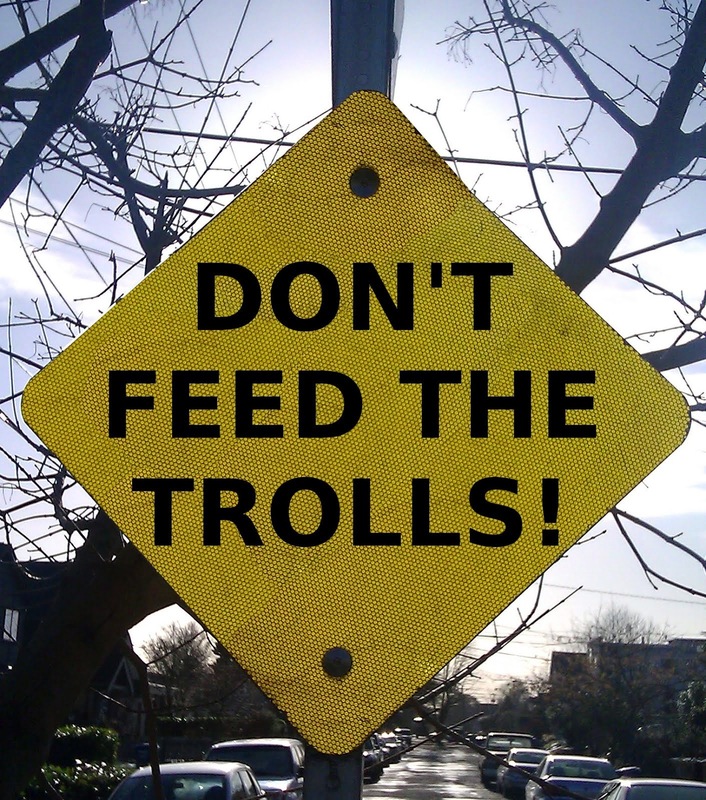 So let us move on from pronunciation to consider the issue of trolling in general. Clearly writing disobliging things about other people is not a nice or kind thing to do, whether one does it on the internet or by painting abusive graffiti on their walls. It is made even less appealing when judgements are passed on named individuals by those not in full possession of the facts, who almost always hide within the comfortable shadow of a pseudonym. On the other hand (for this is not a black and white issue), how offended can anyone reasonably be by comments about them on Twitter, particularly if they do not actually use Twitter? 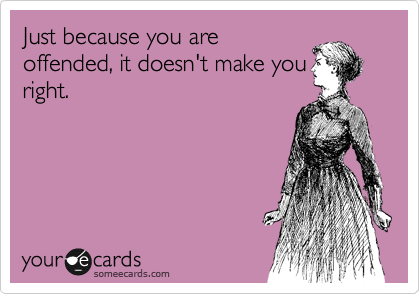 How far must freedom of speech be constrained to protect the right not to be offended of people who reflexively take umbrage on behalf of others? Often on Twitter I read amongst the tsunami of outrage about some controversial post or other, a still small voice saying (in 140 characters or fewer) “actually I am gay / black / disabled / dyslexic / a war veteran / whatever and I thought that was quite a good joke”. A recent TV documentary on motorways belatedly introduced me to the fact that there is officially no longer any such thing as a “road traffic accident”. We now have “road traffic collisions” because nothing happens by accident: “someone is always to blame”. If your car crosses the central reservation because of a blow-out it’s your own fault for not checking the tyres or driving too fast; or the fault of the garage who fitted the tyre, or the company who manufactured it; or the farmer whose hedge clipping damaged it; or the Highways Agency for not filling the pothole you clipped. At its most extreme this thinking ends up with people scouring a runway for the strip of metal that punctured the tyre of the Concorde that crashed in Paris, and taking to court the airline from whose plane it fell. 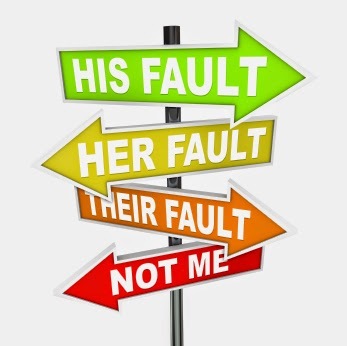 The blame culture also gives free rein to those who become fixated with the belief that the victims of well-publicised tragedies are the authors of their own misfortune. I don’t suppose that parents who have lost a child need reminding that things might have turned out differently if they had not left their offspring unattended. Any more than it is helpful to point out that those placing themselves at risk in war zones, whether as reporters or humanitarians, took a free choice to do so (and if they grievously underestimated the danger they would be in, that too was their own fault). Islamic State like to see themselves as master propagandists, making full use of social media to attract the gullible to their cause. Small wonder that trolling is officially part of the US State Department’s fight back. Let us hope that it proves more effective than air strikes in undermining morale. We can surely all agree that death is a disproportionate response to trolling, whether for the victim or the perpetrator, in a world where even the most heinous war crimes will escape capital punishment.